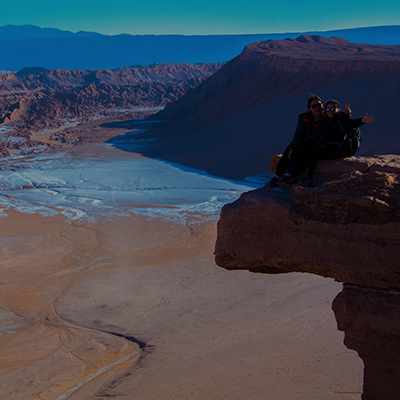 San Pedro de Atacama is a city located on a high arid plateau in the Cordillera de los Andes of northeastern Chile. 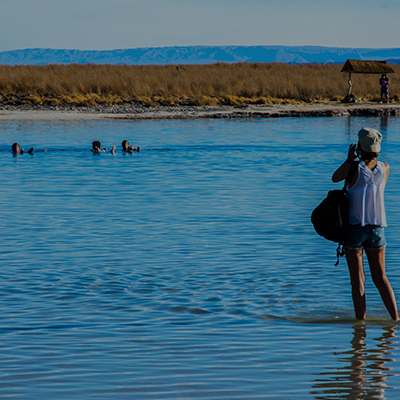 Its spectacular surrounding landscape includes desert, salt flats, volcanoes, geysers and hot springs. 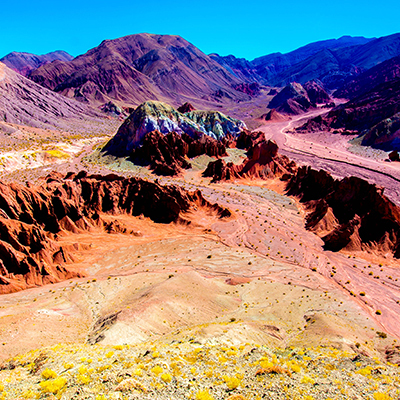 The Valley of the Moon in the Flamingos National Reserve is a depression similar to the lunar surface with unusual rock formations, a huge sand dune and mountains with pink spots. The outstanding Gustavo Le Paige Archaeological Museum houses thousands of pre-Columbian artifacts. 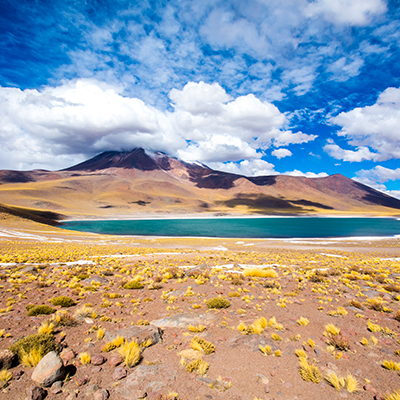 To the south of the city is the Salar de Atacama of 100 km of extension with multicolored lagoons that reflect the sky and attract Andean flamingos. 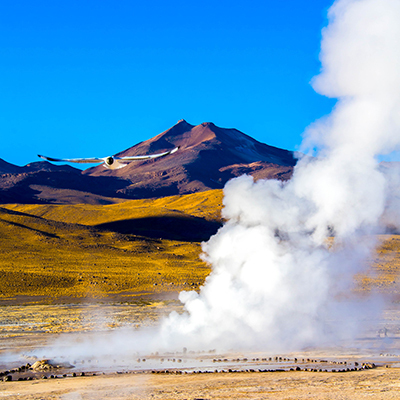 Within the surrounding volcanic region is the El Tatío geysers field and its active fumaroles, and Baños de Puritama baths, with waterfalls and pools for bathing. Volcanoes such as Licancabúr and Láscar are destinations for hiking and mountain biking. The pre-Inca archaeological sites of the region include the ancient Tulor Village with circular perforations and the Pucará de Quitor fortress. Central crater, three marias, amphitheater, dune major, salt caverns and sunset in coyote stone or kari ravine. 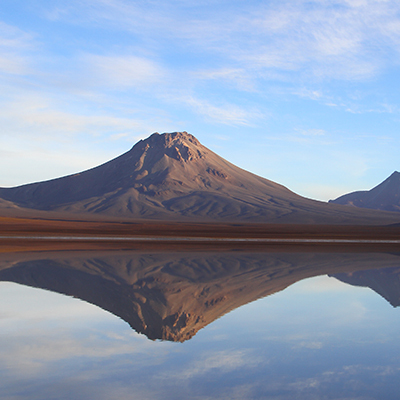 Laguna cejar, eyes of the salar and sunset in Laguna tebinquinche. Includes pisco sour and snack. 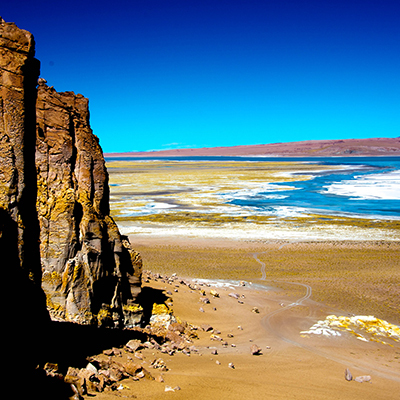 Toconao indigenous people, Miskanti and Miñiques high plateau lagoons, Socaire indigenous people, Chaxa lagoon, Atacama salt flat. Geothermal field El Tatio, village of Machuca, Puto bofedal. Viewpoint of Pujsa, monks of the pecan, cathedrals of tara, salar de tara, lagoon diamond. Petroglyphs in good grasses, Matancilla and Valle de l Arcoiris. Includes: Snack, hot and cold drinks. 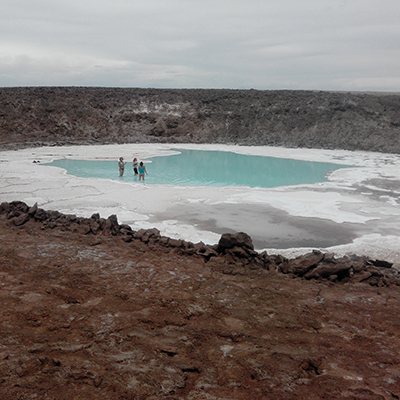 We visited: 8 thermal pools. Ascent to Cerro toco 5604 m.s.n.m. We are a young Agency that we are dedicated to Adventure Tourism. 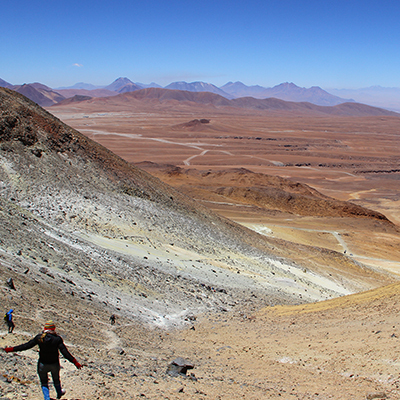 we have excursions to Volcanoes, Salares Altiplanicos, Salar de Atacama and entertaining activities such as Sandboard at night, Horseback riding and Quad bikes. 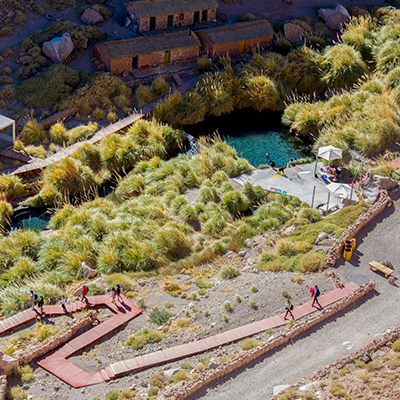 We invite you to visit us at our agency, to help you with information on all the places you can visit around San Pedro De Atacama. We invite you to experience the VolcanoAventura Experience.